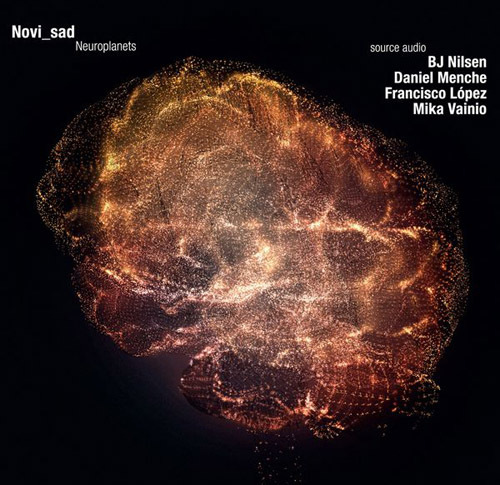 Artwork for the album Neuroplanets by sound artist and musician Novi_sad. Neuroplanets is a project directed by Novi_sad that explores the aesthetics of information on sound. Initially based on multiple ways of audio analysis in rare sonic phenomena taking place on other planets, it has been developed and executed by applying data and numerical elements from neurosciences, on tracks commissioned from BJ Nilsen, Daniel Menche, Francisco López and Mika Vainio. Neuroplanets on Novi_sad’s web site. 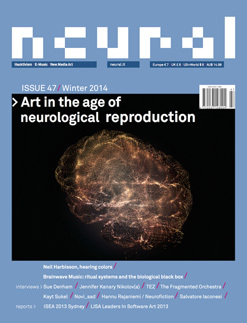 Neuroplanets on Sub Rosa’s web site. Audio and review on Boomkat. Audio and review on Juno.